How to use MailboxValidator CodeIgniter library to validate email? The installation of this library is very easy, just grab the library repository from here first. Then upload the libraries folder to your CodeIgniter application folder. You can refer the full list of response parameters available at here: https://www.mailboxvalidator.com/api-single-validation. Please note that you will be required to edit the custom error message for it. Now you can open your form and try to enter a disposable email address to see the outcome. 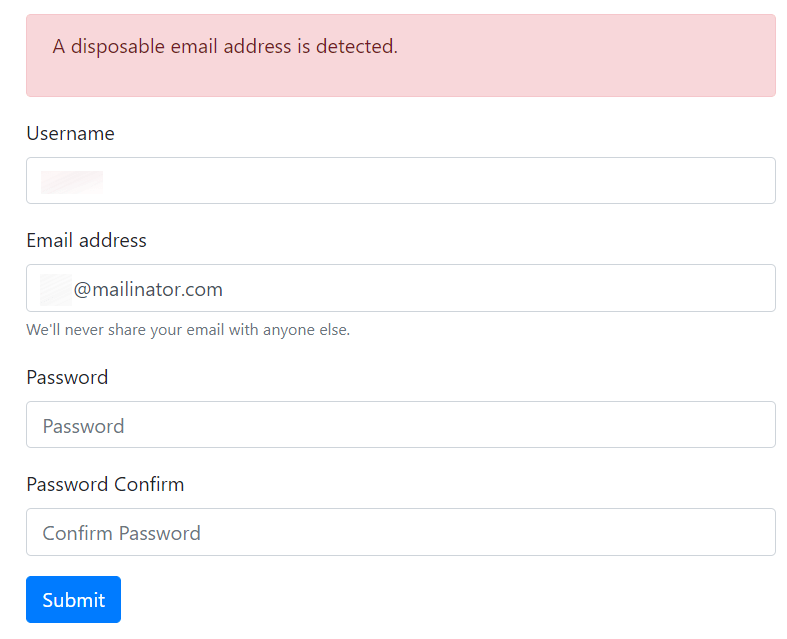 The form should return the error message for the disposable email. Now you can open your form and try to enter an invalid email address. An error message should be returned by the form. How to use MailboxValidator Yii Extension to validate email?